NEW PRICE!!!!!!! !Where to begin??? This amazing home has so much to offer!!! 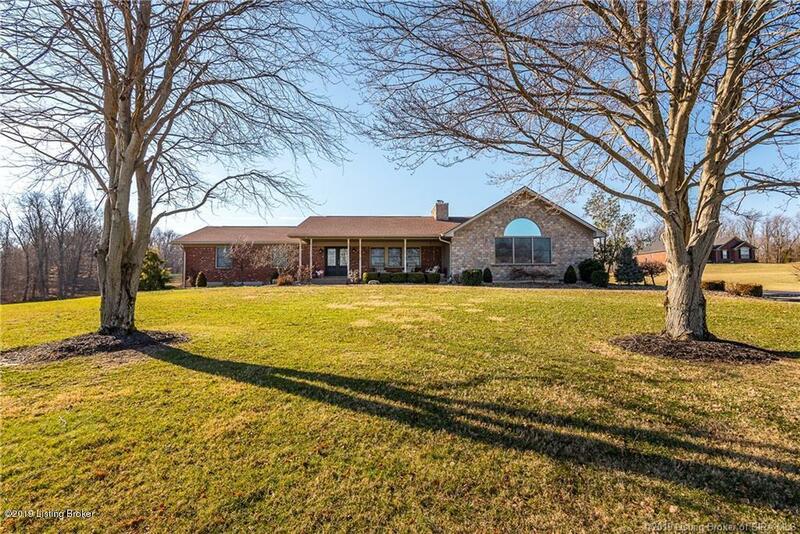 This four bedroom and four bath home as almost 5000 square feet and is only 30 minutes from downtown Louisville! Immediately you will notice the stunning hardwood floors throughout most of the open concept first floor. Two stone, gas fire places adorn the living room and the extra large family room! The kitchen has all new appliances with granite counter tops and an island. There is a huge pantry as well. The master bedroom suite has a grand entrance with a walk-in closet and a large bathroom with separate shower and jetted tub. There is an office/nursery adjacent to the master suite. You will find three more bedrooms and two more full bathrooms on the opposite side of the first floor of this beautiful home.The first floor alone has almost 4000 square feet. The basement has two more family/game rooms for even more entertaining space. The pool table is included. Tons of extra storage with plenty of built in shelving and even the possibility of a second kitchen in the basement. Outside, you will find that no expense was spared! From the Trex decking, to the remote controlled Sunsetter awning, to a custom built fire pit and outdoor cooking area! You will be hosting all of your friends and family here! The heated garage and additional Wick garage with extra insulation and half bath will be able to store pretty much everything you need! Schedule your showing today!